General categories, click on tabs across the top for more book categories. Check out our Gifts range for ages 0 to 99. Children's Books Pocket Money Items Puppets Make your own Labels! For the past two decades, you could cross the border between Northern Ireland and the Republic half a dozen times without noticing or, indeed, without turning off the road you were travelling. It cuts through fields, winds back-and-forth across roads, and wends from the mouth of the Newry River to the mouth of the Foyle. It's frictionless - a feat sealed by the Good Friday Agreement. Before that, watchtowers loomed over border communities, military checkpoints dotted the roads, and bridges had been demolished to prevent crossings. This is a past that most are happy to have left behind but it may also be the future. The border between the Irish Republic-Northern Ireland border has been a topic of dispute for over a century, first in Dublin, Belfast and Westminster and now, post referendum, in Brussels. 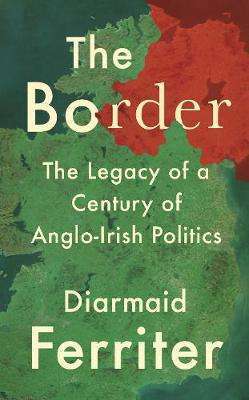 Diarmaid Ferriter charts its history from the divisive 1920s Act to the Treaty and its aftermath, through 'the Troubles' and the Good Friday Agreement up to the Brexit negotiations. With the fate of the border uncertain, the Border is a timely intervention into one of the most contentious and misunderstood political issues of our time.